UAE. 2013. Dubai. 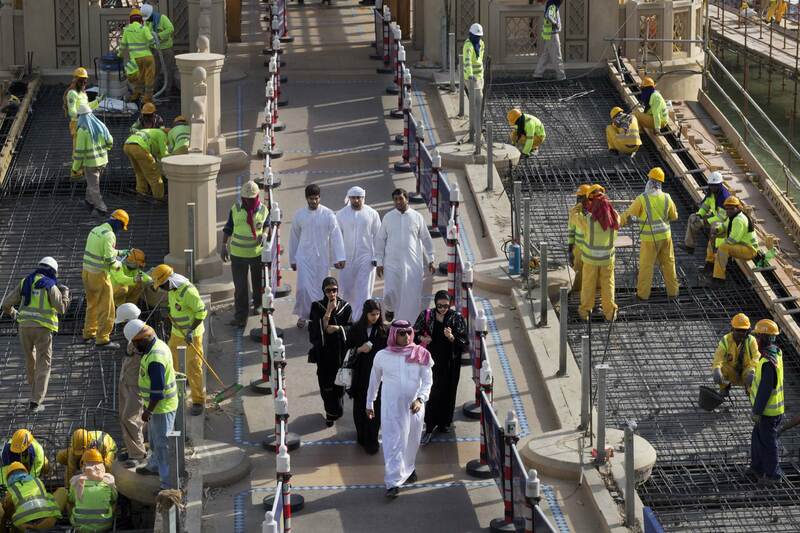 Outside the Dubai Mall, yellow-clad workers from South Asia build scaffolding, while native Emiratis walk by.